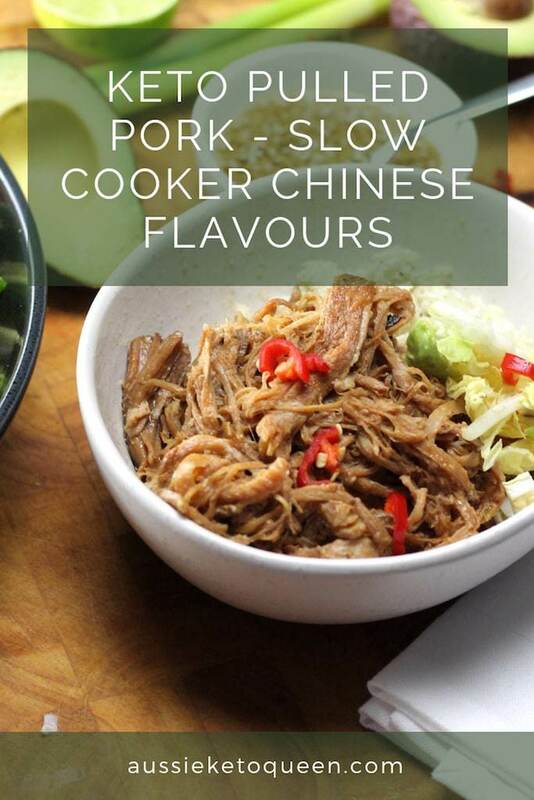 Chinese flavours pair so well with pork, unfortunately they often bring a lot of sugar with them. 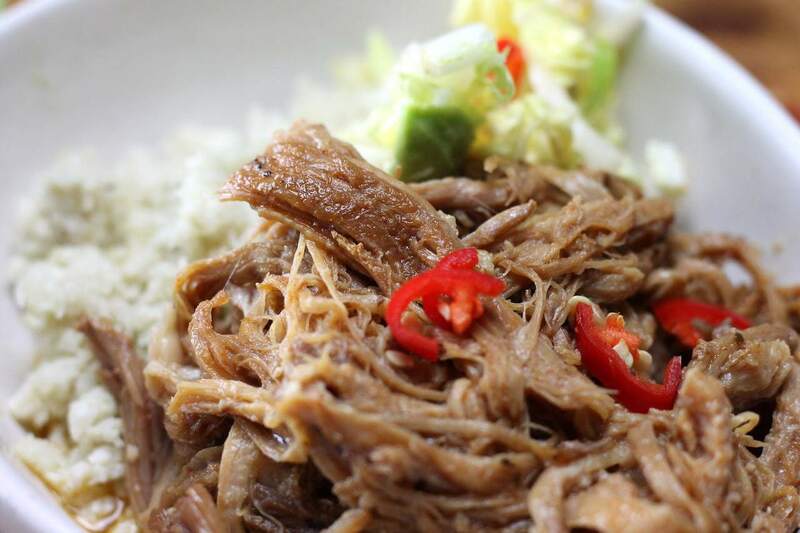 Thankfully, some of the flavours can be replicated like with this Keto Chinese Pulled Pork. This is a Keto version of Char Siu (that yummy pork inside the sticky pork buns!). It’s sticky, sweet and a little spicy if you add the chilli. 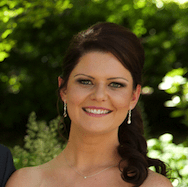 Some of my favourite ‘pre-keto’ recipes included so much honey or sugar. I didn’t even realise. If I had them now, I would probably go on a week long sugar binge. The slow cooker is your friend yet again with this recipe. If you don’t have one, for the love of Keto, please get one. 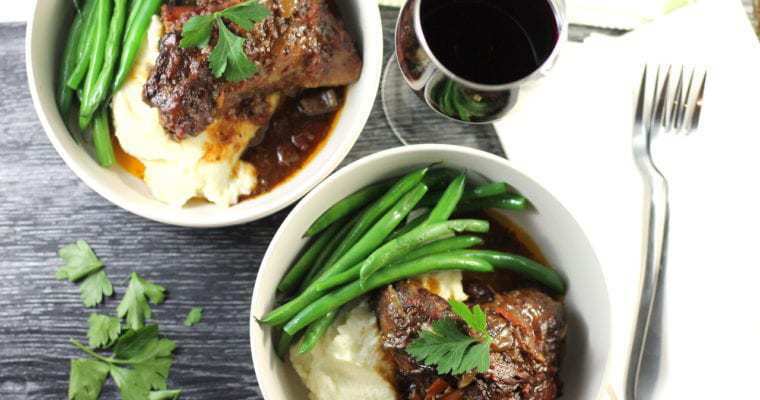 They are only about $20 – $30 from most department stores and a slow cooker and some herbs transforms the cheapest meat cuts into AMAZING food. My favourite meals are pretty much all slow cooker meals. Set it and forget it, 8 hours later your house will be smelling like your favourite Yum Cha restaurant. I use my Sugar Free Tomato Ketchup for this recipe. You can use whatever sugar-free low carb tomato sauce you can find. Always remember to check those carbs though! 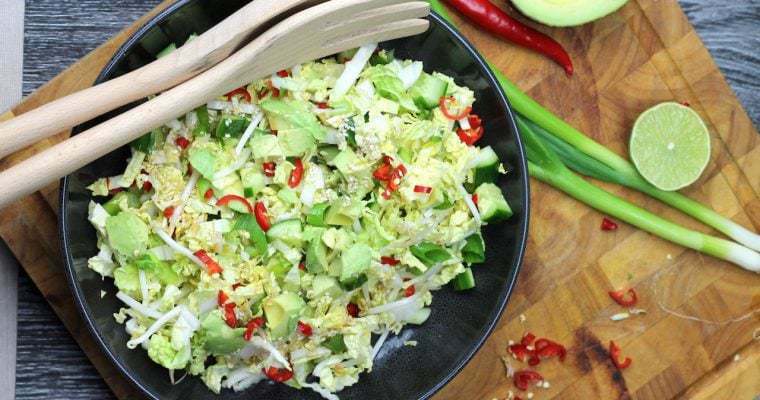 I love serving this with something fresh and crunchy to contrast the texture, such as my Keto Chinese Cabbage Salad . This salad is super tasty and fresh, and the dressing has some serious ZING to it. Zing is the only word I can think to describe it. It’s a sweet-sour-salty combination that, drenced all over crunchy veg, makes my tastebuds excited. 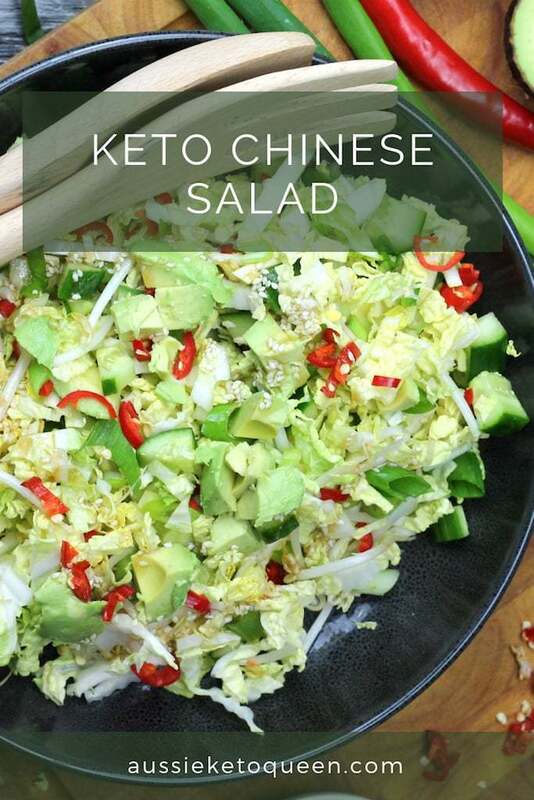 I add in avocado to the salad, even though it’s very NOT traditional, but because it adds a great creaminess. Oh, and of course those keto fats. 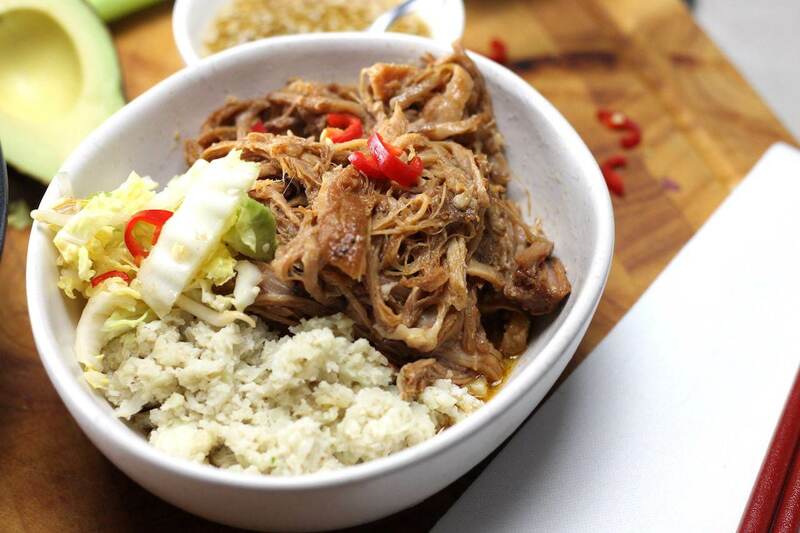 Or my delicious Keto Coconut Rice on the side to balance the rich and sweet flavours. 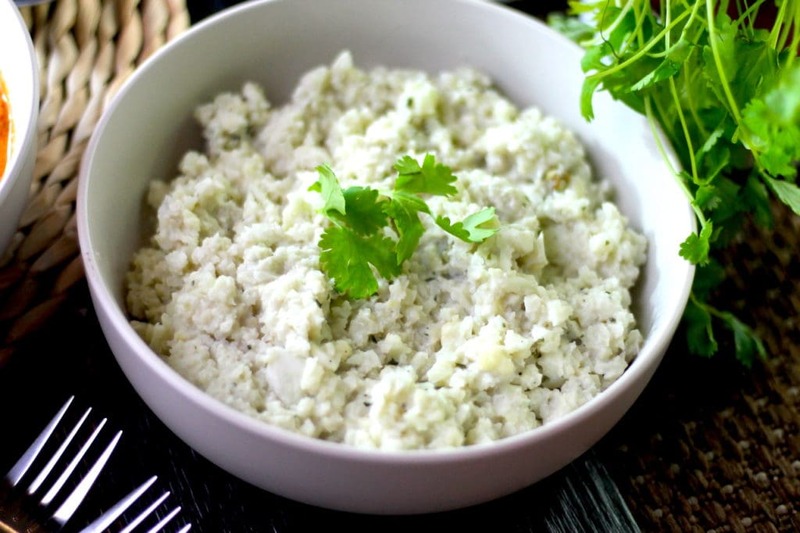 If you’ve just been having plain old cauliflower rice with everything, this Keto Coconut Rice is going to rock your world. It is SO great with curries and really rich dishes, as the creaminess helps balance out intense flavours. Give it a shot! 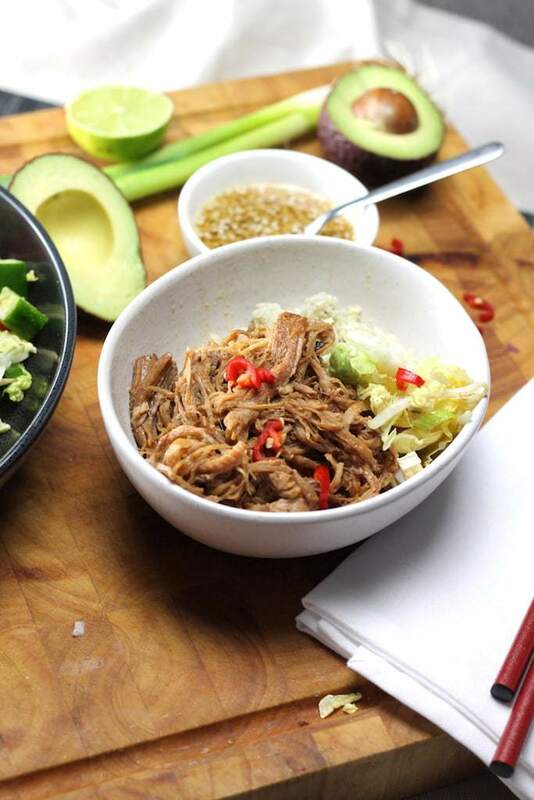 Keto Chinese Pulled Pork is another great dish for left overs the next day. I swear, eating left overs for lunch is the key to my success on keto. You only have to prepare half the meals, and it ends up really cost effective because chances are, if you’re buying 1kg of pork, you can get a better deal buying 2kg of pork and using it for lunches. Talk to your butcher and work out a deal if you want to food prep in bulk regularly! 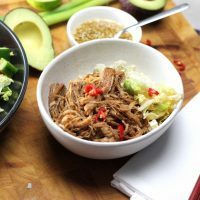 This pork works beautifully just with a side salad, but also with your favourite keto friendly wraps or burger buns. Pulled pork sliders anyone? When it comes to bread substitutes, it’s all about that texture, right? Pork freezes really well! If you see it on special, buy it ASAP. Bringing out the beautiful sweetness of the pork, use homemade chicken broth if you can in this dish as it will reward you tenfold! Place the pork in the bottom of the slow cooker. Combine all remaining ingredients and pour over the pork, ensuring it gets underneath as well. Cook on low for 7 hours. 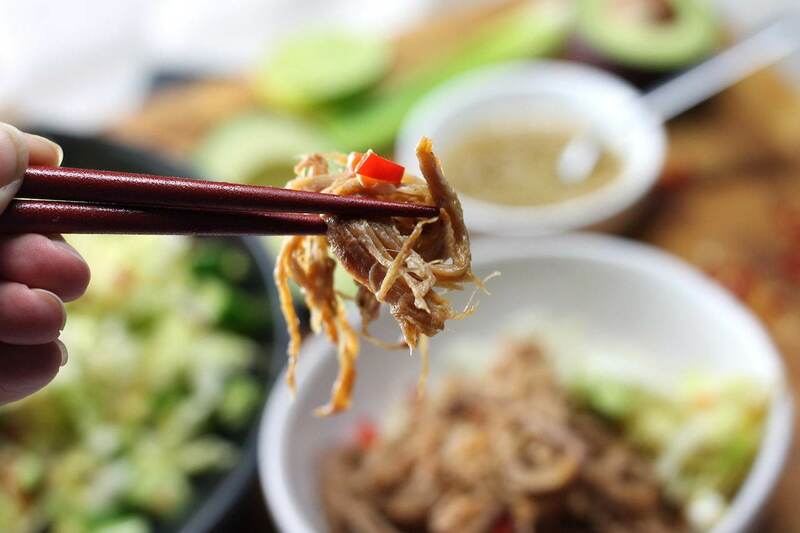 Shred the pork with a fork and stir through the sauce, cooking for a further 30 - 60 minutes until the sauce has thickened to your liking, or eat it straight away. Unfortunately this would not be possible to provide exact weight per serving as it is going to be different each time. For example, if your pork has held on to more water or you have used a different sauce it will be different for you than in my kitchen. I advise it serves 6 as in you divide it by 6 to get to these macros. Across the 150 or so recipes I have, it is not possible for me to cook every single one, weigh each one, weigh each portion and then update each recipe unfortunately, given this website is a hobby that I do in my spare time. If you need to be more specific you could log your ingredients into My Fitness Pal. And a capsicum is called a bell pepper in America. The Aussie part of ‘aussieketoqueen’ im guessing is for Australian. Just because it is called something in American English, doesn’t mean it’s not called something else elsewhere. hi Frank, I’m not sure what you mean – yes Aussie is very commonly used here in Australia, what else does it mean elsewhere? This looks great! I have a pork shoulder that is more that 2kg. Should I also double all the rest of the ingredients? And would I need to increase the cooking time? Hi Elaine! I’d double the sauce ingredients to ensure it’s nice and saucy, but no need to increase cooking time with the slow cooker.